Built-in video player plays MP4, MOV, MKV, WMV and any media files. Convert FLV video to over 1000+ common audio/video formats for easy playback. 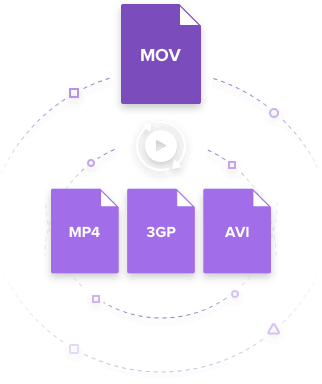 Developed by Adobe Systems, FLV is the most widely used video format adopted by online video sharing platforms such as YouTube, Hulu, VEVO, Metacafe and many others. If you download video clips from the internet and want to play them on your Mac, you cannot do so without an FLV media player. Since many of the products developed by Adobe Systems are designed to run on Windows, you might encounter problems trying to play FLV videos on a Mac computer. As we all know, Apple's default media player-QuickTime doesn't come with the codecs required to play FLV files. To play videos in FLV format, Mac users often turn to Wondershare UniConverter (originally Wondershare Video Converter Ultimate) to convert your FLV video to Mac supported formats, or search additional plugins for Quicktime, or install a third party FLV player. In this article we have collected the 5 Best media players recommended to play FLV videos on Mac (Mojave included). Pros: User friendly interface and plays files easily. 5KPlayer is an all-purpose media player that handles FLV media well. Its enhanced playback capabilities also allow it to play 4K and 5K videos in other video formats such as MKV, AVI, FLV, WMV, MP4 and more. 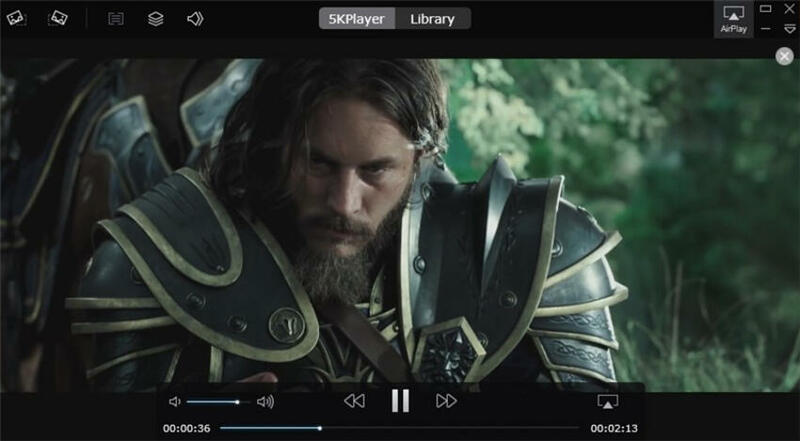 This amazing FLV player allows you to download videos from video sharing websites, play videos with multiple subtitles and stream video or music on your iPhone, iPad, iPod to Mac. In addition to its video player capabilities, 5KPlayer can also play most of the popular music file formats such as MP3, AAC, AC3 and FLAC. 5KPlayer comes with many useful features and aims to provide a complete media user-experience. Pros: It is well organized and its sleek interface makes it easy to use. Cons: Not customizable and difficult to uninstall. 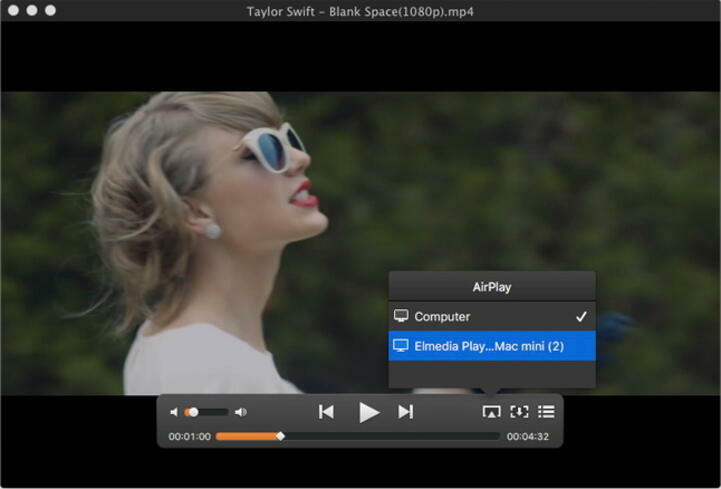 VLC Player is a well-known lightweight video player that allows Mac users to play FLV video files without requiring them to install additional codecs. Among video players, it is famous for supporting the most video formats across major operating systems. This media player packs a lot of advanced features for a free program. It gives users the ability to preview incomplete/partially downloaded files and stream live content from the internet. VLC also supports almost all of the music file formats music available today and its graphic equalizer and visualization features are sure to enhance your music experience. Elmedia Video Player is an alternative media player for Mac that can handle FLV video format, without requiring the installation of additional codecs. It is available as free version and paid version, which upgrades the player to unlock audio playback control settings, allow downloading of YouTube content and grab still images from videos. Like many of the player in this list Elmedia Player supports various audio and video formats, including FLV, SWF, MP4, AVI, MOV, MP4, DAT, MP3, etc. Mac users can also create and save playlists, load subtitle files and adjust playback speed. Sothink FLV Player is a multifunctional media player for Mac which can play a variety of formats including FLV. It is lightweight, easy to use and supports a lot of codecs including Screen Video, Sorenson H. 263 and H.264, on2 vp6 and many others. This media player's interface is clean and simplistic. It allows Mac users to download online videos and gives access to other basic tools including pause and stop, volume adjust, jump frames backward/forward etc.